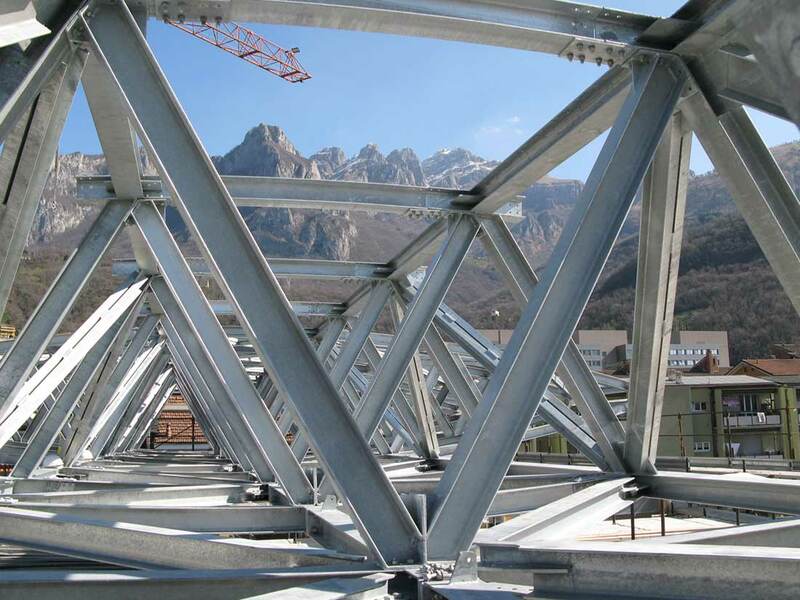 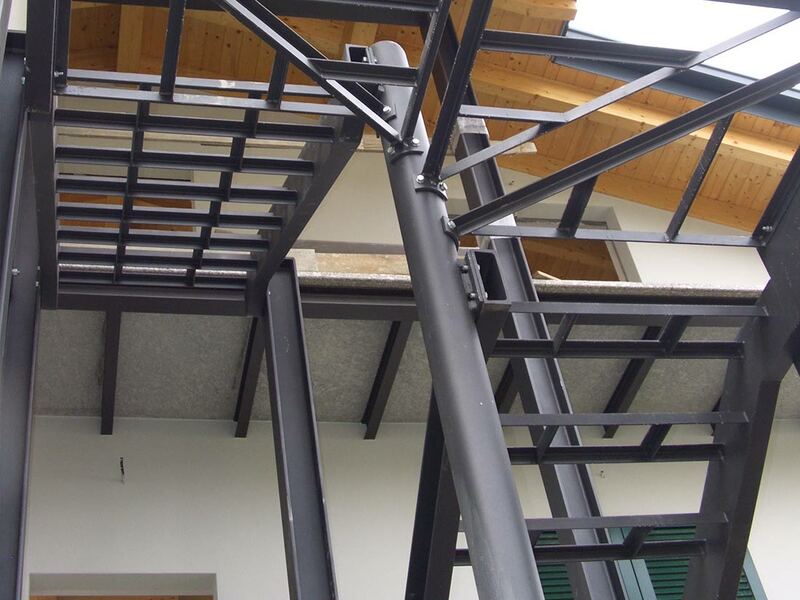 RIVA Ingegneria works on the design of steel structures for industrial and hospitality activities, reticular roofing and boardwalk in static and seismic conditions, focusing to the deformations and to the vibrations transmitted by live loads to the structure and following the European Standards (Eurocodes). 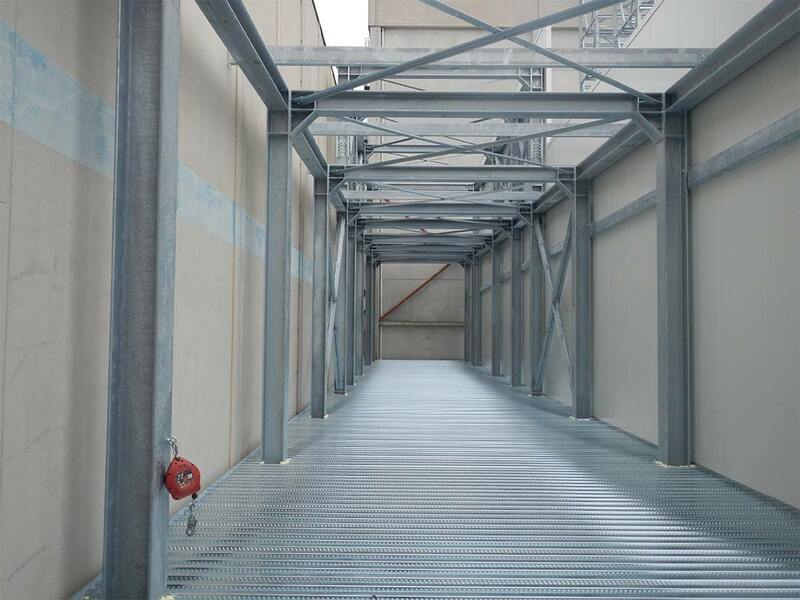 In addition, the firm designs steel portals inside masonry buildings to allow the creation of openings, restoring original stiffness and resistance to get seismic approval by the competent public authority. 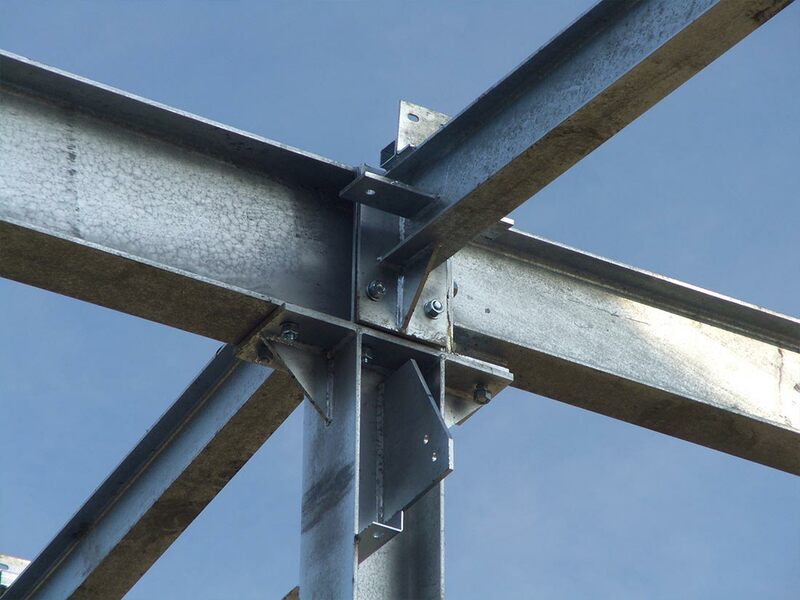 For the seismic vulnerability and retrofitting, the firm designs connections and seismic-resistant steel elements to increase the seismic capacity of any buildings.